Altec Lansing Muzx Ultra review | What Hi-Fi? 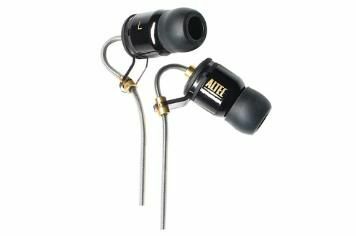 The Altec Lansings are simply massive for in-ear headphones, and the large cylindrical enclosure makes it a little tricky to get a decent fit. It also means they stick out of your ears rather a long way. With an inline microphone and remote for Apple phones and iPods (as well as some rival portables), the Ultras are well specified, but the delivery is rather flat and lacking in thrills, both in terms of dynamics and detail. There's nothing really unpleasant about the sound – it's tonally even and fairly well-controlled – but there's little to really love, and that's a shortcoming among this competition.